Are you ready to exercise (exorcise?) your inner James Bond? How about a secret rendezvous with other gourmet diners, once a month, at a selected and selective location in Wine Country? Does that appeal to you? The exact whereabouts of the dinner, the chef prepping the meal and the wines being poured aren’t revealed until your arrival. But you’re in good hands—specifically, the hands of Mark, the founder…. This looks like a whole lot of fun and a great way to discover great new chefs and dishes in Wine Country. And maybe meet some interesting people, too. 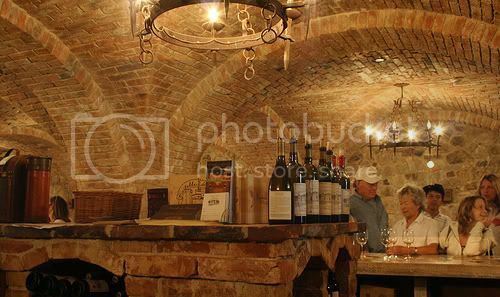 Photo of Underground Wine Tasting at Napa Valley’s Castello di Amorosa by minnibeach via flickr (Creative Commons).